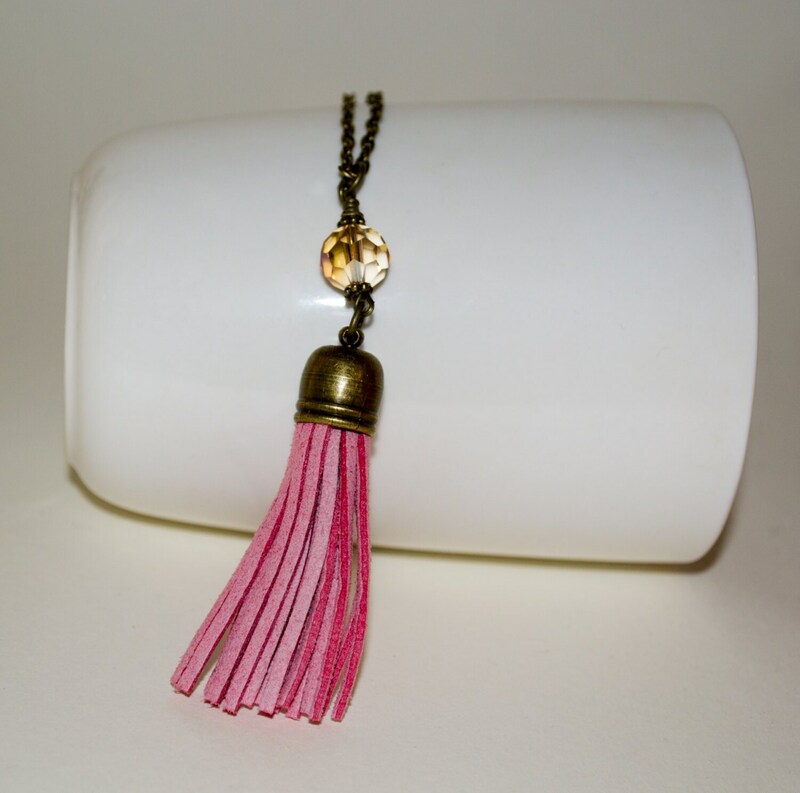 This stylish necklace consists of a bright hot pink faux-suede tassel with a bronze coloured end cap, topped with a faceted crystal bead in co-ordinating iridescent shades, all suspended on an antique-bronze plated chain in your choice of length. 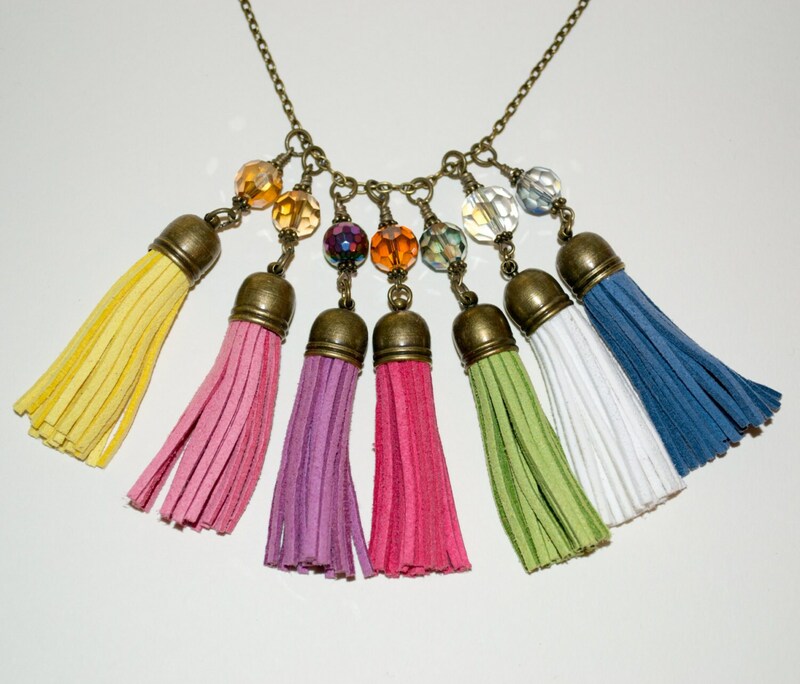 Perfect for layering - why not try two or three colours in different lengths for a fab summery boho look? 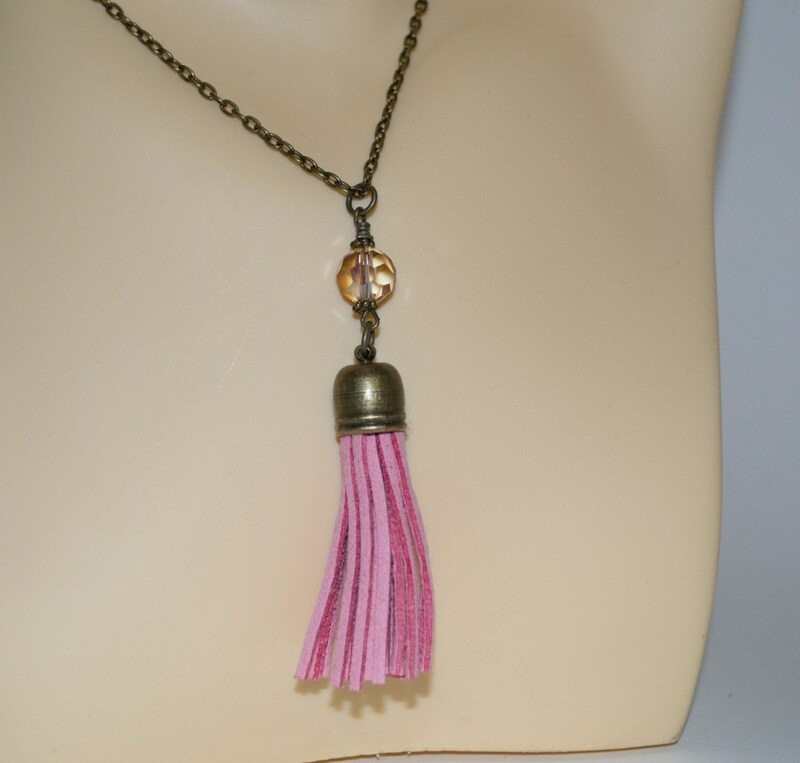 The tassel itself is just over 2"/5cm long. Chain is lead and nickel free and fastens with a lobster claw clasp. 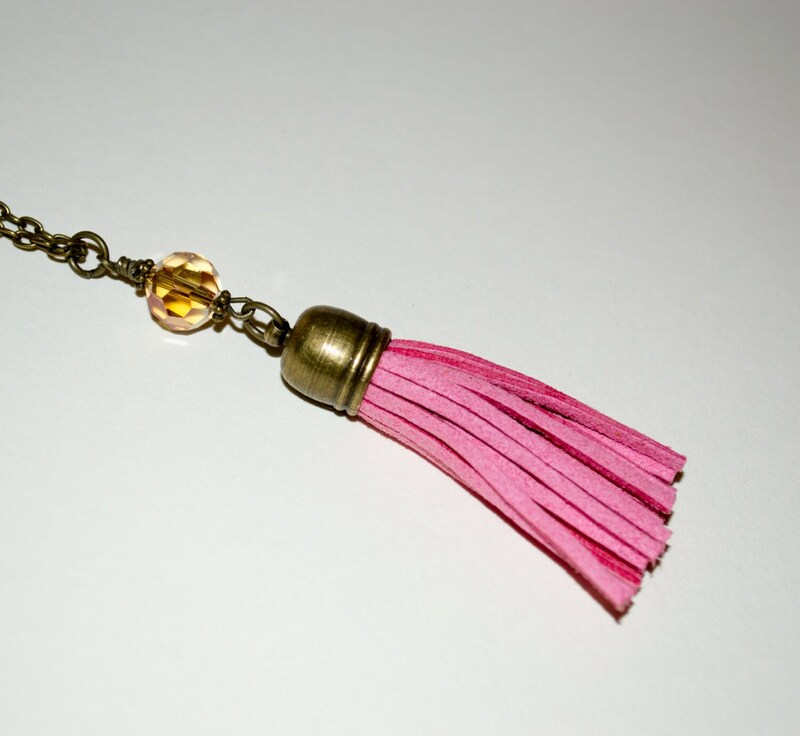 Please contact me if you would prefer a custom length for your chain!